Nintendo Entertainment reports that it has sold more than 7 million Amiibo toys in the United States this year. For those of you who aren’t familiar with the Amiibo toys, they are probably the biggest craze since the heydays of Pokemon and Digimon. Amiibo toys are toys that come in different sizes and shapes, which are designed to be compatible with the Wii U, Nintendo 3DS, and Nintendo 3DS XL. These gaming units come with a near field communication reader that are used to read the Amiibo toys. On game units that are compatible with the Amiibo, you can do quite a few cool things. You can use the Amiibo toy to score different types of bonuses in games that you are playing. You can download new outfits for your characters, get special items, or even add a new character to a game that you are playing. To better illustrate just how popular Amiibo toys are these days, Amiibo launched in June 2014, by the end of June this year, Nintendo had sold over 14 million Amiibo toys worldwide. Interestingly, the sales numbers would have been significantly higher than they are right now, but Nintendo underestimated the popularity of the toys, and didn’t produce enough of them to meet the demand. The underestimation of the toy’s popularity led to a shortage which resulted in long lines to preorder the toys and angry customers that vented their frustrations on Twitter, resulting in an apology from Nintendo president Satoru Iwata. 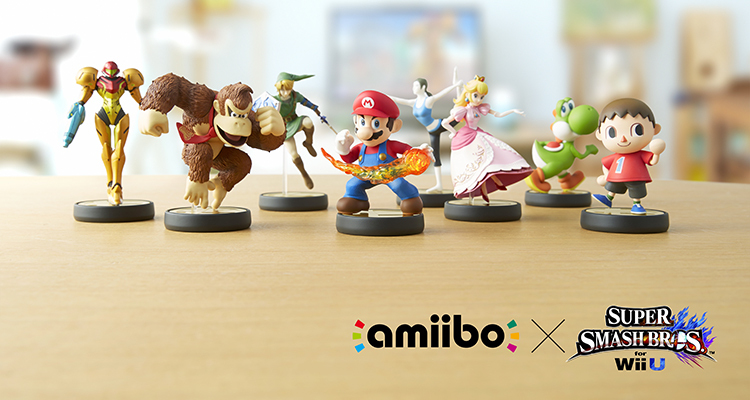 Since the Amiibo toys retail for $12 each, Nintendo made sales of at least $91 million in the United States alone. Amazingly, Nintendo’s biggest console hit of the year is Splatoon, and so far, it has moved 600,000 units. Normally, this would be considered great numbers, but it seems paltry compared to the amount of Amiibo units that the company has sold within the last year. The success that Nintendo is having with Amiibo means that they will keep pumping out more Amiibo toys to keep up with the demand. It also means that the company will likely expand the compatibility of the toys to more of their consoles and handheld platforms. The success of the Amiibo toys couldn’t have come at a better time for the company, which has lost its position as the top selling console maker to Sony’s PlayStation 4. If the Amiibo toys can enjoy the longevity that Pokemon and similar products enjoyed, Nintendo executives will be smiling all the way to the bank for the next decade.